Okay, so let’s be honest! 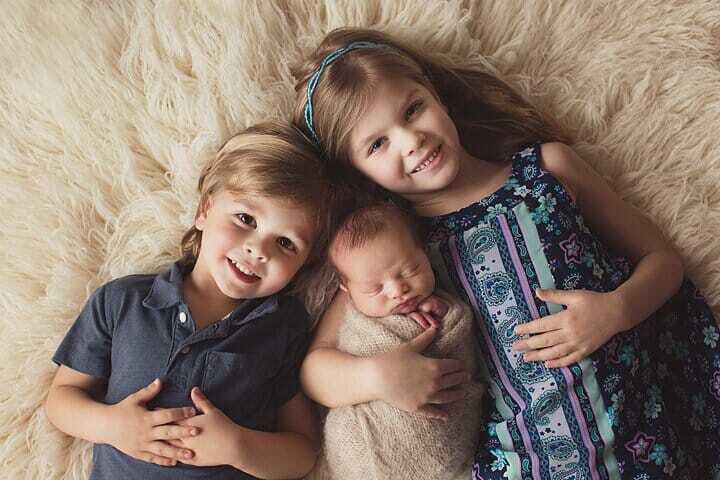 Newborn, sibling, family photography can be a bit of a challenge. When a new baby arrives in a family you really don’t know how the older siblings are going to respond. Sometimes they love them and can’t get enough of the new baby and sometimes they don’t want to be anywhere that new baby that is taking time and attention away that they are used to having. The ones that really keep you guessing the siblings age Two and under! I always warn parents that it could get interesting and not to hang on to hope that this will happen. 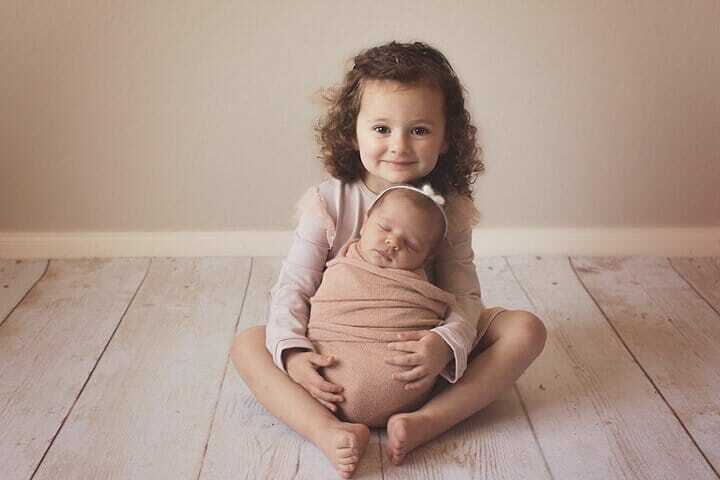 And then many times I surprise myself when I have my ways and we get perfect newborn and sibling photos. 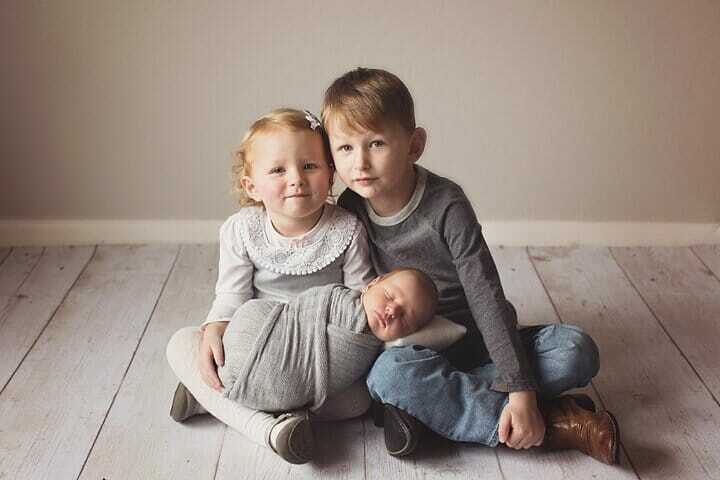 One of the most important things to remember for newborn sibling family photography is that many times we just have to let kids be themselves and not push it. I always aim for two different poses with siblings. It’s awesome when we get both but often you just need one perfect image and all is right in the world. My favorite is always if baby and big brother/sister will lay facing up on a beautiful flokati rug. I love this because they can get more cheek to cheek and this is much easier than a toddler trying to hold the baby and keeps baby safe. This is most helpful if the older sibling is okay with being close to the new baby. It’s also important to make sure that you’re fully prepared for your session ahead of time. If not, we go with plan B. I love doing a sitting photo and make sure that baby is nice and swaddled with head and neck support. I have big brother/sister sit criss-cross-apple-sauce and then we can have baby upright in their lap with arms folded for support. Most important is that mom or dad is sitting aside for a quick grab if needed!! And of course this all comes complete with playing peek-a-boo and singing all those favorite baby songs. Well, and let’s be honest again…having adorable kids helps too. But they are all adorable and keep in mind that sometimes you just have to let them be themselves. That may not feel perfect at the moment but when they are grown and gone these photos will give you a wonderful memory of how they were as tiny humans. The pictures I have of my very own kids when we did their sibling photos are some of my all time favorites and I can just picture how they were at the stage, attitude and all! So don’t be nervous just let it happen 🙂 Don’t sweat the photography session, we will help check that off your list! 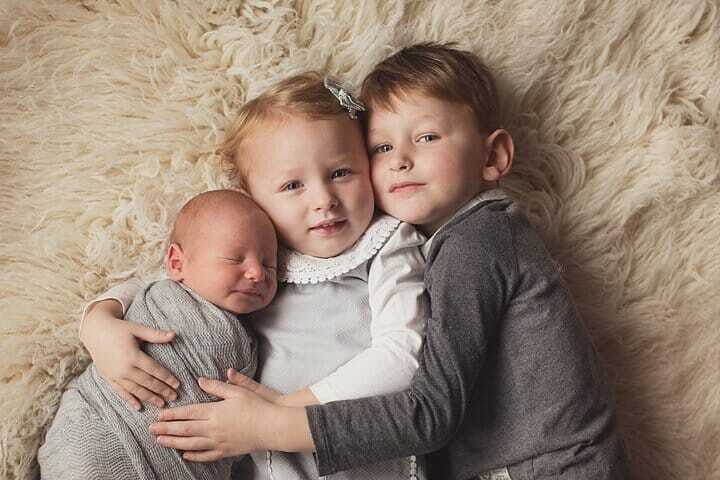 If you are looking for a skilled newborn photographer in the Austin area, be sure and contact us here and we can chat about options with siblings. Thank you so very much!